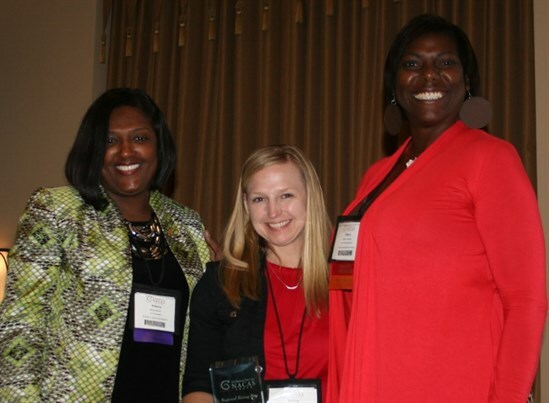 Nominate a colleague for an award or apply for a NACAS South First-Timer Grant. Award nominations and grant application links are now available! Full details about each award are available at the link below. Award nominations are due by Friday, February 1, 2019! Click the links below for full details and the online nomination or application forms. NACAS South offers our members increased opportunities to take advantage of professional development initiatives. The CASP (Certified Auxiliary Services Professional) Candidate Program covers the testing fees for three (3) NACAS South members to take the CASP certification or recertification exam during the NACAS Annual Conference (National) each year. NACAS South will also cover the candidate’s registration fees for the NACAS South Conference (Regional) during their year of candidacy* should the CASP Candidate successfully pass the exam. 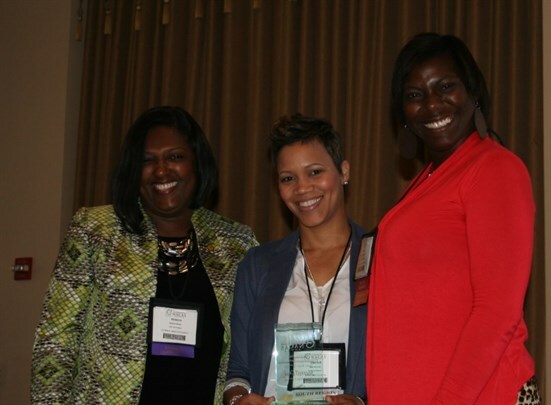 Special recognition of this accomplishment will be acknowledged during the NACAS South Conference (Regional). Only a successful passing grade on the exam will constitute the waiving of registration fees for the NACAS South Conference (Regional). All other expenses will be the responsibility of the grant recipients, such as travel expenses for both the National and Regional conferences, national conference registration fees, expenses for any meals, and all other expenses for incidentals. Applicants must be an employee of a NACAS South member institution that holds a current membership in good standing. Applicants for candidacy must hold a bachelor’s degree or higher from a U.S. regionally accredited college or university or foreign equivalent. Applicants for candidacy must have four year’s full-time experience in management (within the last ten years) directly related to auxiliary/ancillary services (non-academic support services) in higher education. Applicants must exercise their first attempt at taking the CASP exam or be currently certified and seeking CASP re-certification. Demonstrate the ability to successfully pass the CASP exam. Successfully outline how obtaining a CASP designation would enhance or has enhanced their career. CASP Candidates will be selected by June 15 each year, with their candidacy beginning July 1 of that year and ending June 30 the following year. Recipients will be notified via email if they are selected for candidacy. Only one candidate may be selected from an individual institution each year. NACAS South takes pride in making this program available to as many NACAS South institutions as possible. There is no cash value for awards. All fees for testing registration and conference registration (if applicable) will be paid directly to the sponsoring organizations. CASP Candidates are required to self-register for both the exam and the conference (if applicable). This CASP award is not transferrable to another party in the event that the CASP Candidate cannot attend. Should a selected CASP Candidate be unable to attend the national conference to take the exam in their candidate year, they must immediately notify NACAS South and forfeit their candidacy. The candidate may reapply for consideration in the future. Attendance at the NACAS South Conference is not mandatory. Should a CASP Candidate successfully pass the exam, registration fees for the NACAS South Conference will be waived. This registration waiver is not transferrable to another party in the event that the CASP Candidate cannot attend the NACAS South Conference. Waiver for the NACAS South Conference is only applicable in the CASP Candidate’s year of candidacy. It cannot be transferred to another year. CASP re-certification candidates may only be selected to be a NACAS South CASP candidate for one term and will be ineligible to apply for future CASP Candidacy terms if they are selected. Please refer back to this site again in April 2019. For CASP certification applicants: a statement, in 500 words or less, that indicates how obtaining the CASP designation would help to enhance or progress your career in auxiliary services. Also share what actions you will take or have taken to assist in a successful result on the exam. For Re-certification applicants: a statement, in 500 words or less, that indicates how having a CASP designation has helped or progressed your career in auxiliary services thus far. Also share what actions you will take or have taken to assist in a successful result on the exam. Congratulations to our NACAS South Award Winners for 2017! Round Up for FSU is a collaboration with campus service partners including Follett, Aramark, UPS, Seminole Golf Club, and the Office of Business Services to allow customers to round up their purchase to the nearest quarter ($.25). The round-up amount is donated to the FSU Food for Thought Food Pantry. Since July 2017, Round Up for FSU has raised $25,071 to support the food pantry! Visit their website for more information about Round Up for FSU. Their applications were among 14 received this year. Be sure to congratulate and welcome our grant winners when you see them at the conference in April!